Can you think back to when you were last fully engaged in something? So consumed that you lost all track of time and your surroundings? 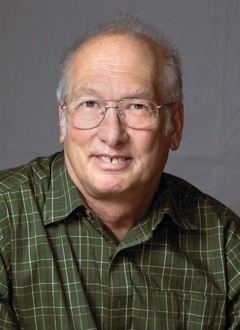 As Ellin Keene writes, “when engaged, we enter into a state of wideawakeness that is almost blissful.” She says this feeling is intoxicating. How can our students find this deep engagement on their own? In her newest book, Engaging Children, Ellin Keene explores that very idea. She examines the conditions that lead to engagement and how we can promote student-driven engagement. Ellin: I'm interested always in whether we can impact thinking. Can you really impact my thinking? Well, we know that's true because if you say to do something I just do it. Ellin: That's compliance, that's right. I'm always ... I was fascinated by comprehension strategies because I was intrigued by the notion that you can actually improve someone's comprehension. I came from the era in my own schooling where you either got it or you didn't get it, but here someone was saying we can intervene in order to improve comprehension. The same thing is now true for engagement. Again, it follows logically. If we know what it takes to facilitate comprehension strategies, if we know what deeper understanding is, if we know how to facilitate dialogue around deeper understanding, then the next logical notion for me is can we, is it possible to teach kids to self-engage? Now, I think we have a lot of us, and I was one of them, running around trying to keep kids entertained and trying to keep kids motivated, it becomes a show, doesn't it? It's all on the teacher. My interest is can a child learn what engagement looks like, get intoxicated by it, get to the point where they feel like, "I want to feel that again", and choose to reengage when they aren't engaged. I'm interested in pushing the definition of engagement beyond where I think it's gone so far. I'm interested in a broader definition of engagement. Tom: Broader in what way? Where are we limited? Ellin: In education literature, I think we've been limited in thinking of engagement as kids are doing what they're supposed to be doing, they're answering questions, they're turning in their papers on time. Ellin: Yeah, they're on task. I think on task are the two words I care for least in the English language. They can be very much on task and completely disengaged. I remember that very clearly as a kid, I think most people probably do. What is real engagement? I'm going to argue in this book that engagement has several dimension and that we can't, of course, have all of those dimensions all of the time. You wouldn't want to be truly and deeply engaged all the time, the brain needs breaks. The more kids understand about those dimensions, the more we model engagement for them and talk about how it actually feels to be deeply engaged, the more they're going to be able to do that for themselves. I don't think that's just classroom work, nor do I think it's traditional notions of engagement, always being in context of a book or an engaging science experiment. Engagement happens for kids, sadly, mostly outside of school. What I want to do is understand what engagement looks like outside of the school and then learn what we can from times when kids are spontaneously engaged in play or in other things that they're doing outside of school and say, "Okay, what does that mean for us in the classroom?" Can we, in a sense, teach engagement? That's what I'm fascinated by now. I always write off a question and really, as you know, very rarely have answers. Tom: I have a student who's like a runner or an actor, I want to watch them run or act and my reaction is always to say I think, "Could you give me 20% of that? If you can give me 20% of that I could make you the best." This is like off an extracurricular taught by a volunteer coach. I'm a professor but I want some of that. Ellin: Some of that, exactly. That's what I want kids to feel, "I want some of that". If my teacher is modeling his or her excitement, time doesn't have any meaning and you slip away. If a kid can understand that from dialogue with an adult and then experience that, my hypothesis is that children will then choose to do that. That puts teachers in a very different role because we're no longer responsible for motivating our kids for doing something to get them excited rather they've learned how to get themselves excited about learning. Tom: Clearly, the implication is that teachers have to be engaged themselves or find some way of demonstrating their engagement which coincides with the belief that the great teachers have some obsession or some passion. I remember having these history teachers who just love the Civil War. I'm not sure that they taught me to love the Civil War but they taught what it was like to love something. Ellin: That's the point. It's not about the content or the focus of your obsession, it's how you find yourself slipping into the grasp of that obsession and becoming cognitively, emotionally, plays a huge role here, cognitively and emotionally, and aesthetically even caught up, so caught up that you're not aware of time and you're not aware of even of your surroundings. I think we could have a lot more of that in classrooms. Tom: Practically, what might that look like? Ellin: I think there are a couple of things that we need think about, lots of modeling on the part of the teacher. 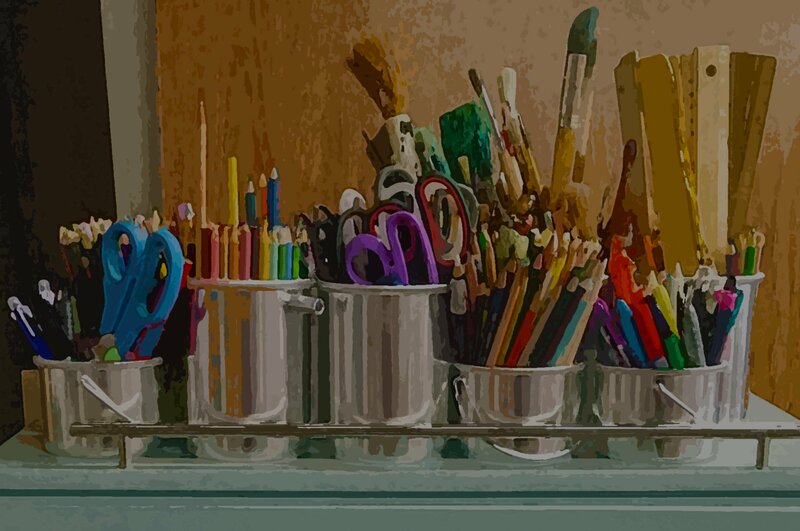 I ask teachers in workshops all the time to talk about those passions, to talk about those things in which they find themselves deeply engaged. You can't stop the talk. Once people start to have that conversation, they want to go on and on. I don't have any doubt the teachers can model that. I just don't know that we thought of it. It starts with a lot of modeling. It also starts with helping kids be metacognitive about the level of their engagement. Am I doing this to be compliant? Am I doing this because I was told to participate in this group activity? Am I really deeply engaged? I want kids to be able to identify where they are on that kind of continuum. I'm going to share some strategies in the book about how to reengage if you're not. For example, if your brain is taking a break, you give it a break, but then you have ... you create a protocol for reengaging and that's going to be different for you than it is for me. It's going to be different for every kid, but it's not the teachers job and that's what I really try to underscore that kids can make those decisions and get themselves reengaged. It's also going to mean a lot of inquiry and a lot choice. The more choice we have in what we read and what we write about this is nothing new, we've known this for years and years and years. The more choice they have, the more likely engagement is. The more they are given opportunities to inquire into topics that which they're passionately interested, the more engagement we're going to have. The reason we need that level of engagement of course is that it has everything to do with whether they remember. If I'm lecturing and you're sitting there taking notes and you're compliant, the likelihood that you're going to remember what I've said is very, very low, much less reapply it. But if you're engaged in pursuing an inquiry into something that you're passionate about, climbing mountains, swimming, running a school board, all of those things, you're far more likely to be engaged and therefore to remember what your experiences are. We need a lot of inquiry, we need a lot of choice and we need a lot of modeling. Tom: I've compared curriculum to like, you know the TV show "Hoarders"? Ellin: I have heard of the TV show Hoarders. I have not watched it but I get the idea. I think you're actually watching it every night. Ellin: Piling on, piling on. Tom: What you do is if you bring things in your house and you're working in your house. Ellin: You don't take anything out, that's a great analogy, that's perfect. We got to stop that because there's no way that the kids ... we can teach all that stuff but they're not going to remember it. It's time that we acknowledge that them not ... it's not their fault. I think we we kid blame, "You know, I taught that last week, where were you?" Well, okay you taught that and 47 other things last week and there isn't anybody who could remember all of that. But if I chose to study something that I'm very interested in, aviation for example, I could lose myself for weeks and I don't forget that stuff. It's because I feel very, very passionately about it. Tom: I think it was Jeff Wilhelm and Michael Smith had a term called identity themes which I've always liked, so you kept interest. I'm interested in a lot of things but I don't have that many identity themes and things that I think shape me and define me as who I am. It seems to me, one of the implications is teachers need to understand what the kid's identity theme, whatever we call it. It's something a little bigger than an interest. Ellin: It is. I think that kids can be far more engaged even if it's not that interesting to them. Even if they are listening to or learning about, let's say, the Civil War or whatever, I think we can go in through channels that cause them to be much more engaged even if that isn't an identity theme for them. I think one of the central channels is the emotional channel. When we add, when we layer on or weave in the emotional layer to virtually anything, name, science, social studies, math, there's an emotional layer there, there are people under there, there are people behind those equations whose stories are fascinating. I learned this from you. When we layer on the emotional level, I think we can take kids from compliance to engagement. I think that's just as true for boys as it is for girls. There is ... when we have an emotional, I'm calling it emotional resonance, to ideas that makes them stick, we remember. We know that really from brain studies that obviously the emotional and cognitive centers are very closely linked in the human brain. It makes sense that even when kids are engaged in a content area that they are not excited about, that we can still get engagement under those circumstances. Ellin: That's actually how I'm differentiating between internal motivation and engagement. A lot of us think about internal motivation as something very valuable, it's something we want and I have no argument with that. But I think there isn't a different level engagement and I actually quote someone in the book, writer by the name of Tobin who says such an easy thing to remember. "Motivation for me, engagement for we", meaning that when kids are connected to larger issues of social justice or a cause that means something to them, that engagement is far more accessible to them than if it's turning in a paper for a grade. Tom: I think even the term, I was thinking of the term engagement, it's maybe a prior meaning or another meaning as you become engaged to someone else. Tom: It's really not about you, it's about a relationship to someone else and a public commitment to someone else. Ellin: Very much so, very much so. Tom: I think once you feel, there's a power in that. Ellin: For many, I would say most, kids that interaction especially if there's a little tension or conflict that push me, pull you a little bit, those conversations where there's just an edge of conflict equals engagement or can we help them get into an engaged state much more quickly. As you know, I grew up in a family where there was a great deal of push me, pull you around politics and that brought me in. Tom: You have two grandfathers on the other side of the aisle. Ellin: I have two grandfathers, both were state senators at the same on opposite sides of the aisle. There was a lot of ... it wasn't open conflict because they were best friends and they were very civil in their conversation, but there was conflict. When there's an edge to a conversation, you sit up and take notice. If someone in a restaurant is having a little argument at the table next door, I can't help it. I want to hear. Conflict draws human beings. It's part of narrative. Narrative is how we remember things in conflict. I'm going to argue in this book a big part of engagement, not hostile, bullying, angry conflict, but just that edge that rub where we might just disagree a little bit and you push and I push and maybe we come to some compromise but probably not. Maybe there's just a little. Tom: How does a teacher do that? Ellin: I think we need to setup situations in a classroom. I'm describing several of them in the book where we get right to the point of argument. Teachers have to take the conflicts, the things that are happening in the world outside of school and in some way, tee them up for kids conversation. I don't think it's a free for all but properly shaped, kids, even young kids, can, and I'm going to argue, should be talking about the big issues in this country and in their world right now. Kids understand that we're losing polar ice at an alarming rate. Kids understand that there is tension in urban areas. Kids understand poverty when they are in the backseat of a car and they drive by a corner where someone is trying to solicit money. Kids get this. We are afraid of having those, of bringing those controversial topics into the classroom. I don't think we should be. Teachers can structure those conversations so that they are manageable for the child within their working. Kids need to discuss that. I had a very ... writing about a very interesting incident, speaking about as we sometimes refer to panhandling or soliciting money for food or whatever it might be with some 3rd graders. We had a very dicey conversation about whether, when you're driving by or walking by, you offer money to people who are asking for it. These kids have the most thoughtful conversation. They really listen to each other. It wasn't just, "I want to say my thing and then I'm not listening to you." The teacher had set it up in such a way that there was a real give and take. There are wonderful structures and protocols that I'm writing about in the book that help us to set it up so that it won't spin out of control. These kids had an incredible conversation. I don't mean for them to change each other's minds or beliefs, but I'm calling it perspective bending, not breaking but perspective bending. I was taking pictures of those kids during that conversation. If the fire alarm had gone off, they wouldn't have budged. They were so deeply engaged. I agree, I think the social interaction part of engagement is enormously important. Tom: I think you're teaching kids that the world is complex and that is a really hard ... complexity is a hard thing to hold on to. We always want to simplify and make things easier. Ellin: Yes, exactly. Oliver Wendell Holmes said, "I would not give a fig for the simplicity this side of complexity but I would give my life for the simplicity the other side of complexity." I think that's exactly what we're trying to do for kids. We're not dumbing it down, that's a simplicity this side of complexity. I want them to experience the simplicity on the other side of complexity. They live in this world, we owe it to them to help them understand it. Tom: F. Scott Fitzgerald said that the sign of a first-rate mind is you could hold two opposing ideas in your head at the same time and act that it seems to be the two opposing ideas and one is the world is complex. Tom: You have multiple perspectives. That you still have to act in that world. Tom: How you resolve that tension is the task of being a mature person, I think. Ellin: I couldn't agree more. Keats said the same thing. Negative capability. Tom: You do love Keats. Ellin: So that we can hold two conflicting ideas simultaneously without, in Keats' words, and irritable reaching for an answer, an irritable reaching for an answer. I love that. Ellin: I think that's where we want kids to be. That's the simplicity the other side of complexity. To keep the complexity from them isn't right to me. I talk in the book about how we think but we also feel, believe and act. Even with young children, I use a little think, feel, believe, and act so that they can understand those terms with a little visual signal and very quickly they get it. This is what I think, but this is what I feel, this is what I believe, and this is how I'm going to act. Tom: We do have a final question, you have these interviews with kids. Tom: I think when you talked about it I just sensed some delight in your voice about what you learned from the kids. Could you say something about these interviews? Ellin: Basically, I have a simple series of questions that I asked them. I gave them a little definition of what engagement is. I said, "Tell me about a time when you felt like that? Tell me about a time, what led up to that?" They go on and on and on. They understand the difference between compliance and engagement for sure. They can describe deep levels of engagement and the thirst for more, the "I have to know more". The thing that struck me Tom, is that so many of the scenarios they described were outside of school. That is great. I want them to feel, of course, I want them to have lives of engagement outside of school and I want them to have lives of engagement inside of school. It was a joy to talk to them. Most of the interviews were done with kids who do not have access to a lot of advantages outside of school and yet they found and describe great joy in learning and in being in different ways outside of school. I want to bring that in. To have an authentic classroom is to have an engaged classroom, but that's going to mean much more choice, and that's going to mean much more modeling on the part of teachers, and just in conversation about engagement. What is it like to feel that way? What did you experience? What would you suggest to other children who want to feel that way? Those are very simple questions, it's not a new curriculum, but we've got to ask those questions. Tom: What is a new curriculum because a lot of the stuff is ... I'm in a school board where we're constantly trying to add things in and we're kind of hoarding. What are you going to leave out? Nobody wants to leave anything out. Ellin: Absolutely, absolutely. My Ed Psych professor taught me that kids are going to learn better if we focus on fewer concepts that are very important and that we teach them in-depth over a long period of time, but most importantly that we give kids a long time to experiment with those concepts, to find themselves engaged in them. Without that application, we can count on disengaged kids. Tom: I think in our terms of our memories of education, what we often remember episodes that were pivotal. You just hope that that episode was in your class, one thing, one memory, because a lot of it fades, right? Tom: I love to have my students write about those and they're often about some teacher who's a little bit wacky. Ellin: Yeah, that's so great. That makes me feel so much better. Tom: I remember one that ... often it wasn't like, this teacher, they did something that were out of character that a teacher should be like. One teacher said, "It's Friday afternoon, we should all have donuts." Ellin: What does the kid remember? Ellin: Just being a little naughty. Naughty is a really underrated virtue. Naughty is a good thing. Tom: Idiosyncrasy, something strange. I think that in this time when we want everybody to conform and everybody be on the same page, I never had a kid write, "I remember this teacher because she really stuck to the curriculum." That never happens. Ellin: She love the answers I wrote to the questions at the end of a chapter. Tom: Boy was she aligned. Boy, was that woman aligned. Ellin: No, no, no. That does make me feel better for some of the things I look back and regret that I did to children. Maybe they're not so bad after all. Tom: Great to trace this journey from our first conversation in the car to this book that's under way. Ellin: Nobody I would rather talk to about this stuff. 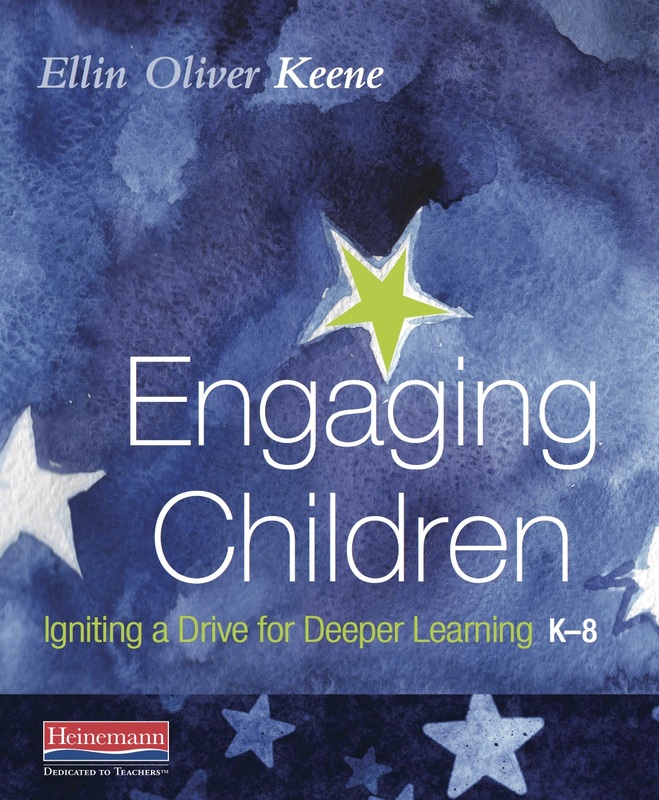 To learn more about Engaging Children and download a sample chapter, visit Heinemann.com. Ellin Oliver Keene has been a classroom teacher, staff developer, non-profit director, and adjunct professor of reading and writing. For sixteen years she directed staff development initiatives at the Denver-based Public Education & Business Coalition. She served as Deputy Director and Director of Literacy and Staff Development for the Cornerstone Project at the University of Pennsylvania for four years. Ellin works with schools and districts throughout the country and abroad with an emphasis on long-term, school-based professional development and strategic planning for literacy learning. 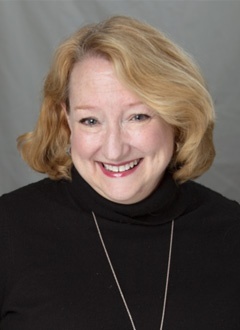 She serves as senior advisor at Heinemann, overseeing the Heinemann Fellows initiative and is the editor of the Heinemann Professional Development Catalog-Journal. Follow Ellin on Twitter @EllinKeene.